Although here at Chapter and Verse, we like to review indie authors and go off the beaten track, after reading and reviewing A Court of Thorns and Roses for this site, I found myself curious about the much-hyped Throne of Glass series. 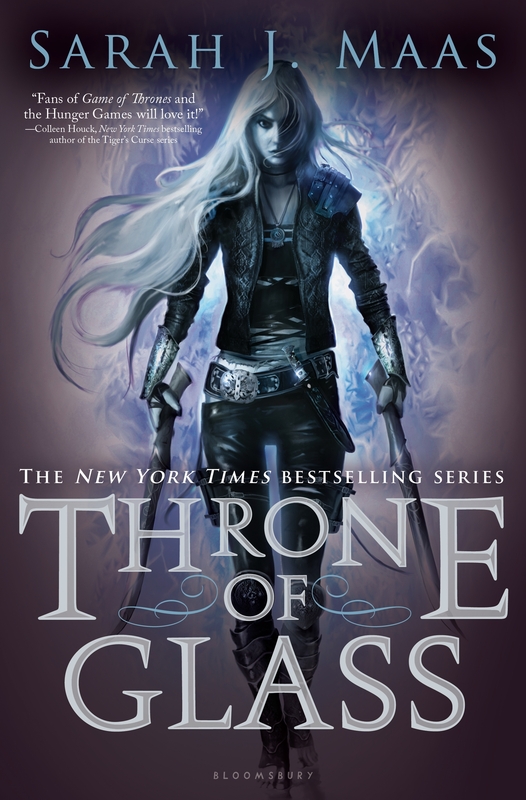 Like Thorns and Roses, Throne of Glass is a reimagining of a fairy tale in a historically amorphous Young Adult setting. In Throne of Glass, Cinderella’s cruel stepmother and ugly sisters are replaced by a life as a child assassin and a hard time down a salt mine. The charming prince knows who she is, and has brought her into the palace to compete as his champion for a prestigious court position which will likely involve more professional murder for the crown. Seems like a smart move. I really enjoyed the first Throne of Glass book. It had everything. Romance, intrigue, grisly murders, humour, magic. Our hero, Celaena, is a grumpy underdog who is pleasantly comfortable with her own sexuality, gaily checking out every man who crosses her path. There were a few things that irritated me as a reader – we’re told the contest is going to have lots of stages, but only three of them are actually described and a lot is reported “off-stage”. I could have borne fewer stages and to have had a bit more action. But all in all Throne of Glass was a brilliant read. Fast-paced, full of drama, a great heroine. I thought it was wonderful. Here comes the rub. 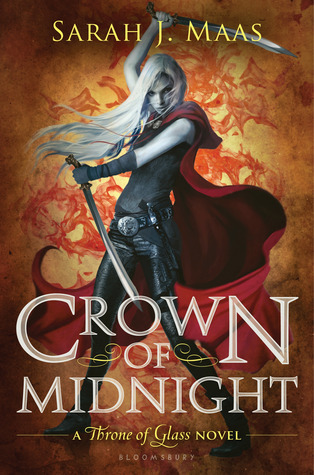 I had loved Throne of Glass so I tore right on into the perplexingly-named Crown of Midnight (tbh I also do not recall an actual throne of glass, but that’s a bit more beside the point), which I also enjoyed. But over the course of this book something developed that rather killed the rest of the series for me. Celaena develops from a complex, struggling woman into a Mary Sue. She’s so beautiful that everyone who ever meets her fancies her to the max immediately; she’s all kinds of chosen one – she’s the best fighter, got the most skills, everyone is constantly impressed with her – and it just gets a bit wearing. The great strength of Throne of Glass was a heroine who was struggling, who was complex. Through the second and into the third book, Heir of Fire, Celaena just becomes this incredible wildcard, capable of doing anything, and any sense of vulnerability is lost, even as she appears more emotionally vulnerable – because even the long conversations she has about her feelings detract from that complexity. I’m very sorry to say that I stalled in Heir of Fire and I couldn’t finish it. Two thirds of the book could have been served by training montages and it felt very slow. When I saw that there were at least two more books in the series I found myself rather short of energy. Everything scales up, and the humour, intimacy and grittiness of the first book (and, to an extent, the second) is gone.